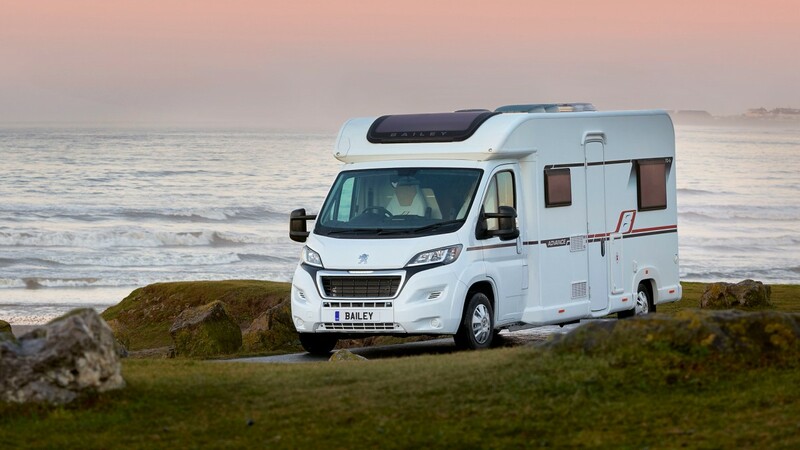 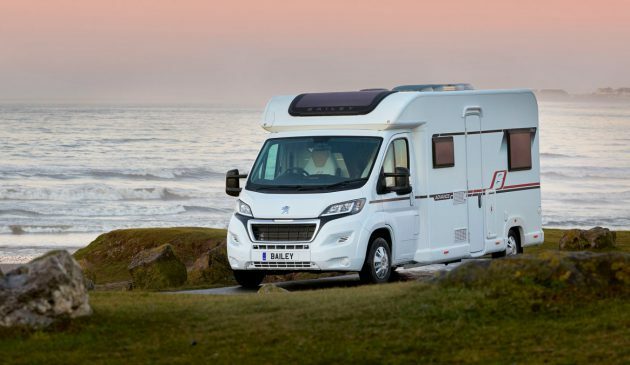 New to the fleet in 2019 this Bailey Advance 70-6 is a family size six berth with a low-profile shape and dropped chassis meaning it’s easier to drive, easier get in and out of and has better fuel economy. 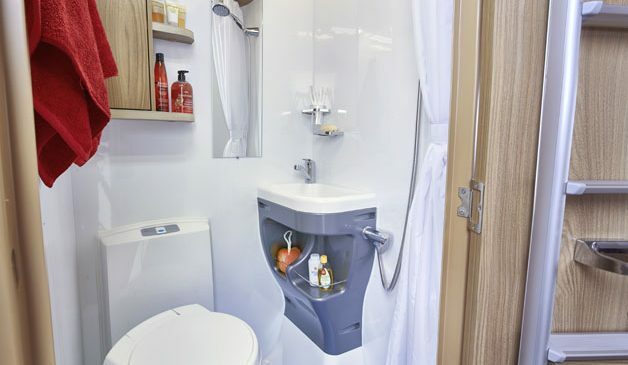 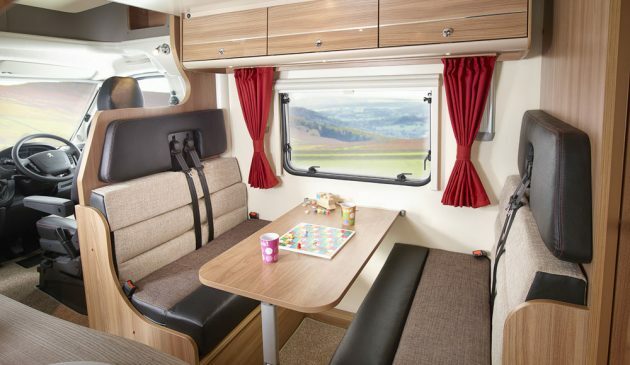 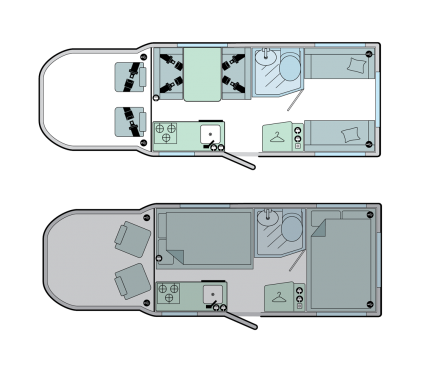 Although low profile it can accomodate 6 people at night as it has an electric drop-down double bed over the dining area so no need for the over-cab bed. 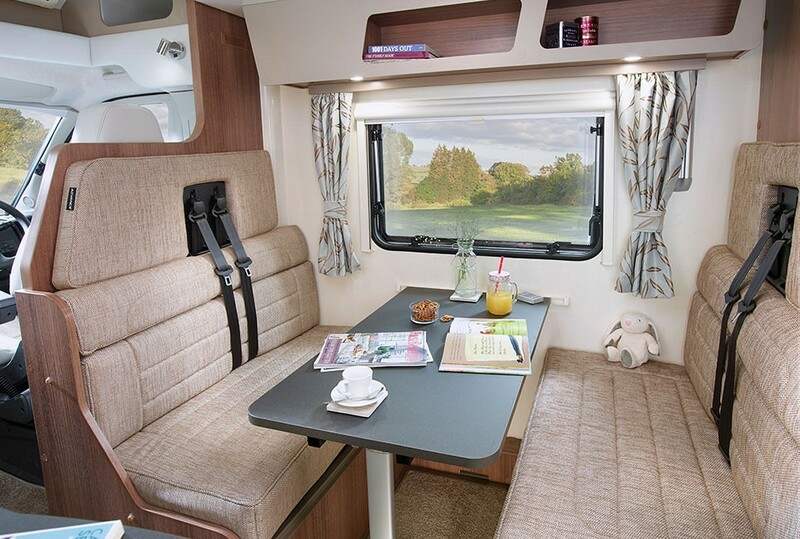 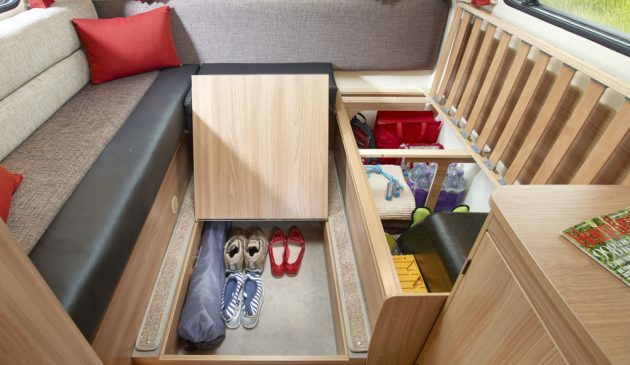 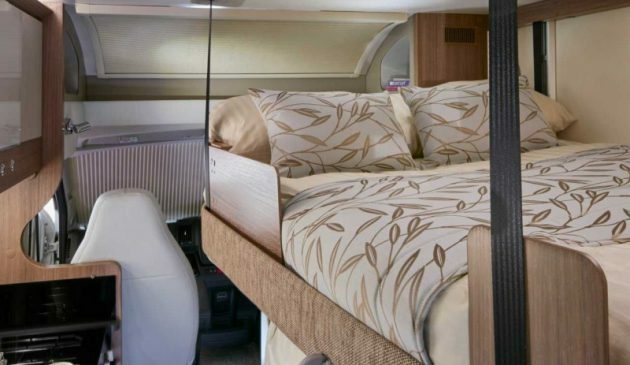 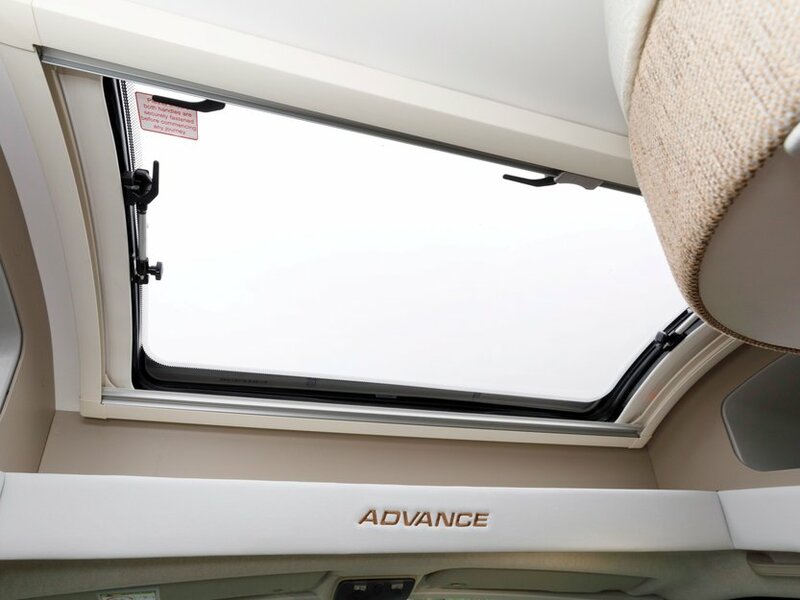 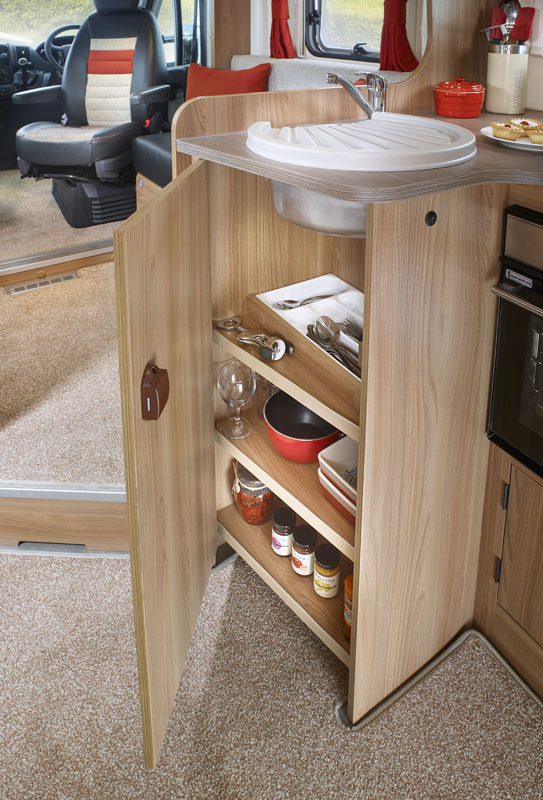 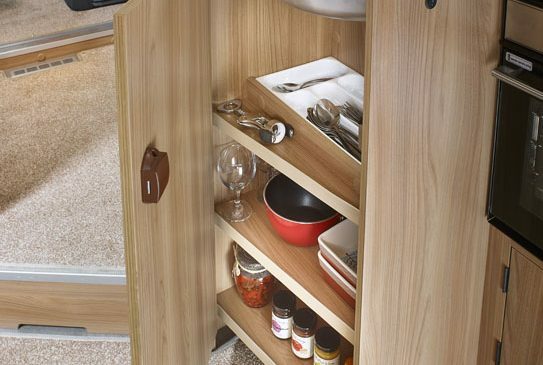 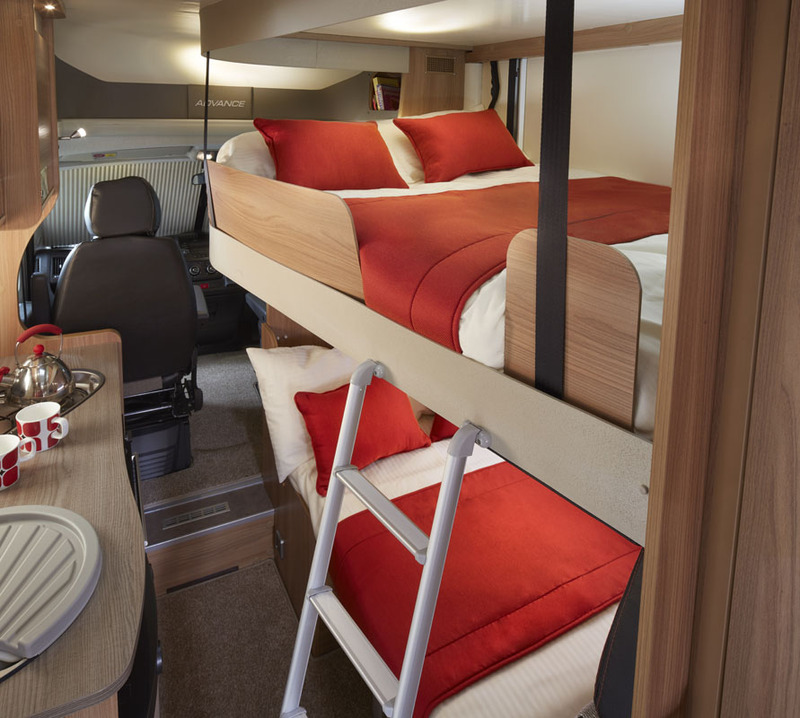 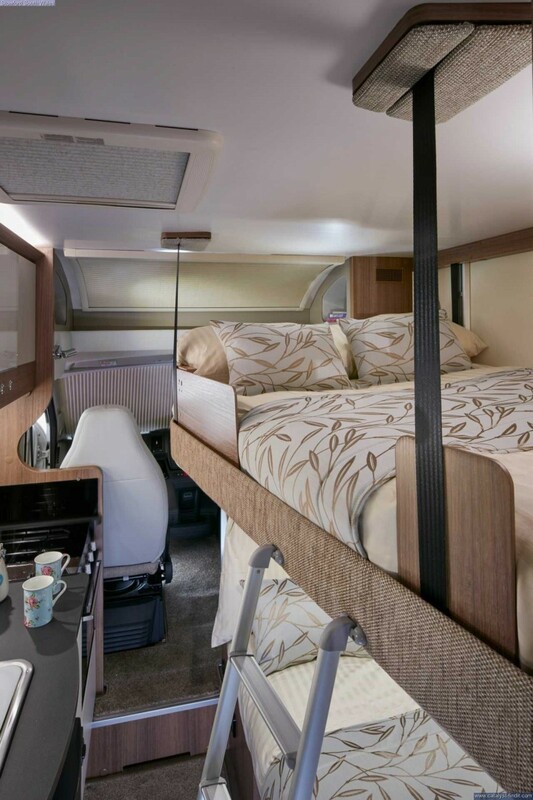 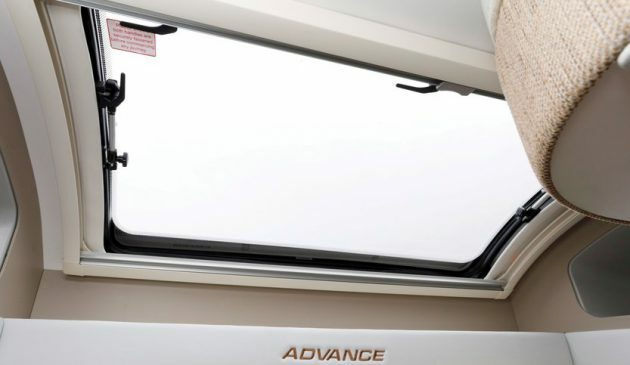 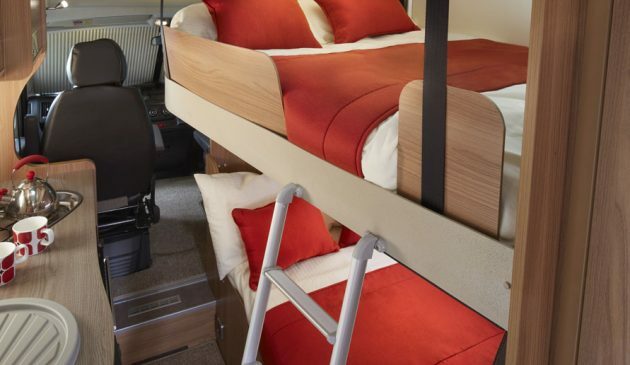 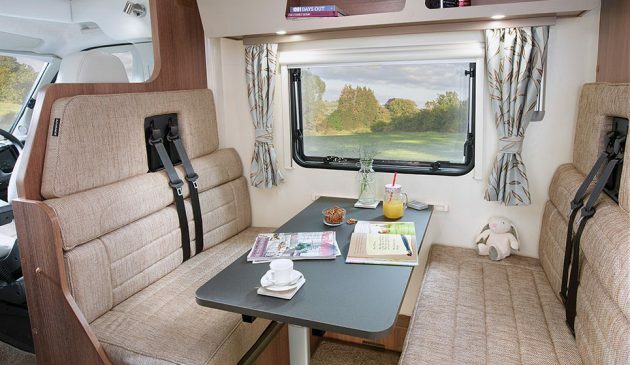 Plenty of headroom inside and even when the bed is lowered at night, occupants are still able to access all areas of the motorhome. 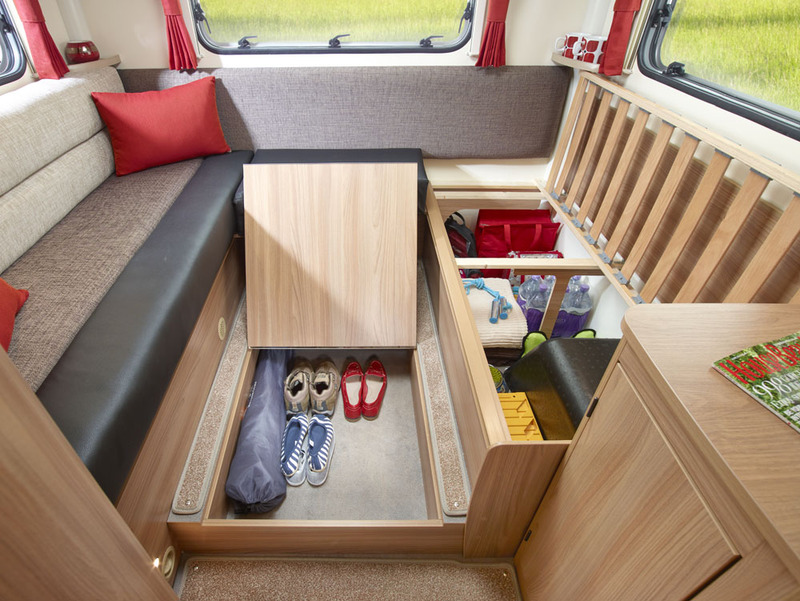 There are six seatbelts (two infront four in the back) - perfect for a family with up to four children and the rear lounge provides enough space to relax. 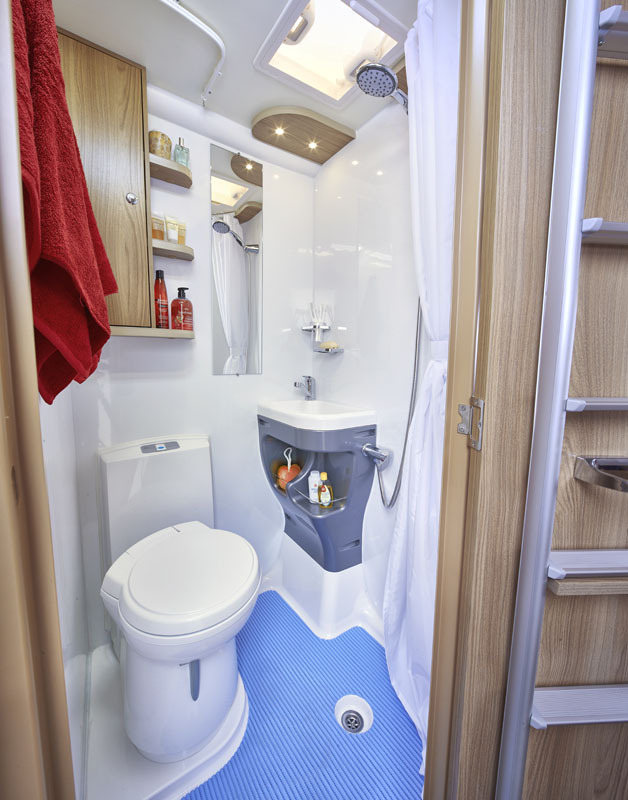 Suitable for hire year round thanks to its state of the art central heating system and excellent insulation. 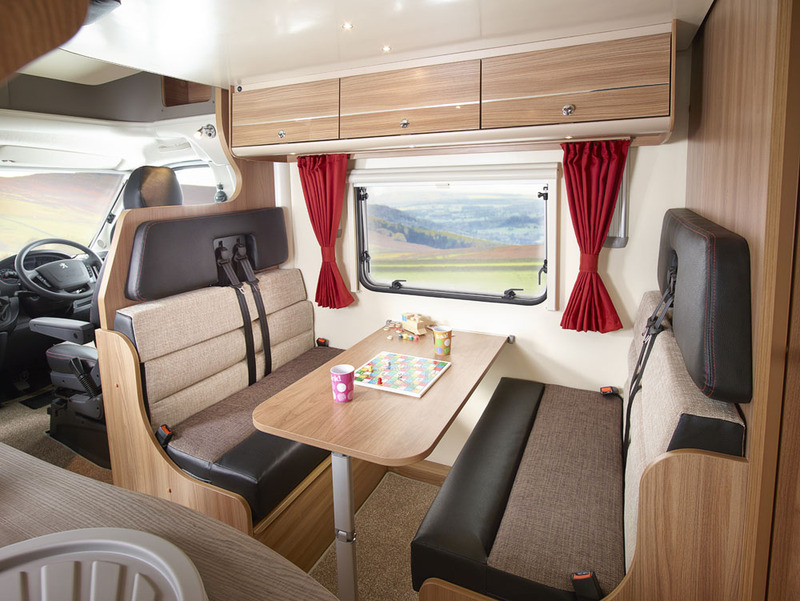 Comes with a 4 bike rack, cab air conditioning, rear facing camera, a digital control system, Bluetooth, DAB radio with USB ports.